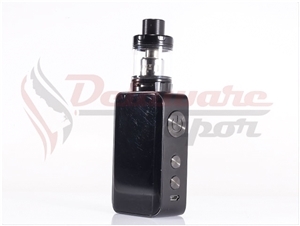 Kanger VOLA is a powerful vaping device with attractive appearance. It features max 100W output power, 1.3-inch TFT display, built-in 2000mAh battery and various working modes, especially WATT DIY and TEMP Curve. The VOLA Tank is a 25mm atomizer with top fill & bottom airflow design. With R2 0.4ohm and R8 0.2ohm head, you can enjoy massive clouds and intense flavor.